The first locomotive on the service left Birch Coppice at 14:14 on 23 January 2019 and arrived at Felixstowe at 20:14, having passed through Hams Hall, Leicester, Peterborough and Ipswich along the way. Made up of 33 platforms, the service transports a mixture of intermodal containers, and will initially run 5 days a week. “We’re thrilled to be putting on this new service, which will be running on a daily basis. 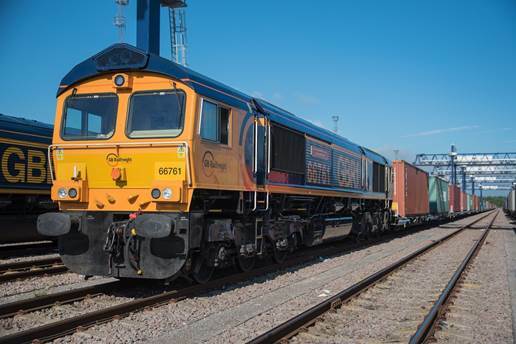 It is demonstrative of the wider sea change we are seeing in the rail freight industry, as the UK moves from its industrial roots to become a service and consumer- led economy. This is reflected in the fact that intermodal traffic now accounts for approximately 36% of rail freight industry wide.